Nashville, TN -- Grammy nominated, IBMA Entertainers of the Year, the Steep Canyon Rangers, have released new videos in support of their 5th album, Nobody Knows You.” Gaining international notoriety as bandmates with entertainment icon Steve Martin, these videos are bringing the Steep Canyon Rangers to audiences beyond their already devoted bluegrass, folk, Americana and jamband fanbase. I once predicted that The Steep Canyon Rangers, by the time their members were thirty, would be well-known far and wide for their brilliant performances and excellent recordings. Now, this tight unit from western North Carolina could be one of the most recognizable bands in bluegrass today. Besides having talent and youthful appeal, their familiarity was definitely boosted by being comedian, actor, and musician Steve Martin's backup band. They were Grammy nominated for their 2011 album collaboration with Martin called Rare Bird Alert. Following some excellent releases on Rebel Records, the band now debuts on Rounder. 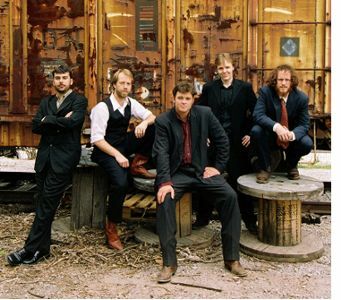 Nashville, TN -- Grammy-nominated bluegrass sensation, The Steep Canyon Rangers are anticipating the imminent release of their debut Rounder Records recorded effort “Nobody Knows You.” They are pushing the boundaries of bluegrass and making it accessible to both traditional and progressive audiences of this genre. 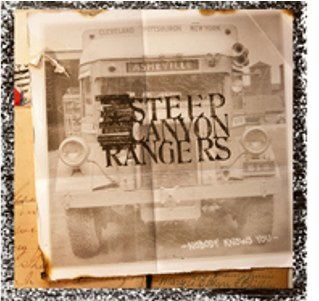 Nashville, TN -- IBMA's Entertainers of the Year the Steep Canyon Rangers today announced the April 10 release of their Rounder Records solo band debut album, Nobody Knows You. With this 5th album, the band - current Grammy nominees for 'Best Bluegrass Album' for 2011's Rare Bird Alert collaboration with Steve Martin - takes a giant step forward as songwriters and performers who continue to redefine both traditional and progressive approaches to the genre. And with a 2012 schedule that features their most ambitious international theater, university and festival tour to date - including headlining the Winnipeg Festival in Winnipeg, Canada, the Stagecoach Festival in Indio, California and the Rhythm and Roots Festival in Bristol, Tennessee they remain the band bringing bluegrass to perhaps its biggest audience ever. Nashville, TN -- International Bluegrass Music Association's (IBMA) Entertainers of the Year the Steep Canyon Rangers announced the April 10 release of their Rounder Records solo band debut album, Nobody Knows You. With this 5th album, the band – current Grammy nominees for ‘Best Bluegrass Album' for 2011's Rare Bird Alert collaboration with Steve Martin – takes a giant step forward as songwriters and performers who continue to redefine both traditional and progressive approaches to the genre.